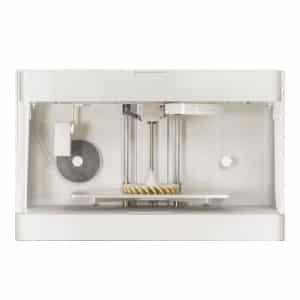 The Zortrax Inkspire is a desktop resin 3D printer for professionals made by Zortrax, a Polish manufacturer. The Inkspire is Zortrax’s first resin 3D printer, but Zortrax manufactures award-winning extrusion 3D printers such as the M200. Touchscreen: for an easy and intuitive user experience. Open materials: Zortrax manufactures their own resin, but users may choose to use third-party resin as well. Z-SUITE: the Inkspire comes with Zortrax’s proprietary slicing software, Z-SUITE. It is also possible to use external slicing software. This professional resin 3D printer is available for $2,300 (see on Amazon). Discover more Zortrax 3D printers with our 3DP comparison engine.